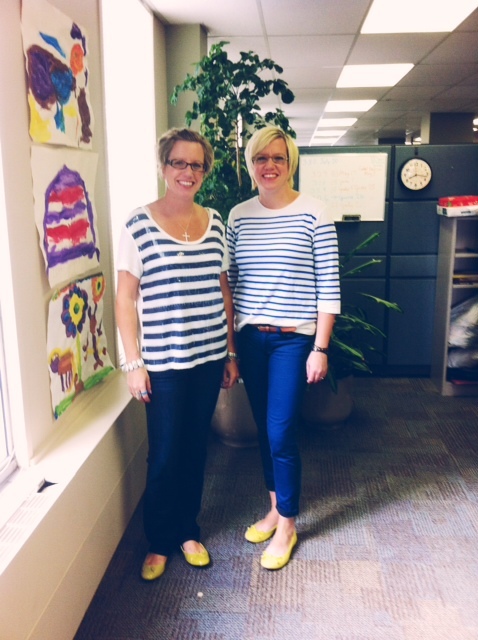 before my twin sister Kim and I dressed alike at work. We work for the same government department and recently, we both now work in the same building, on the same floor. We confuse many and it's fun.